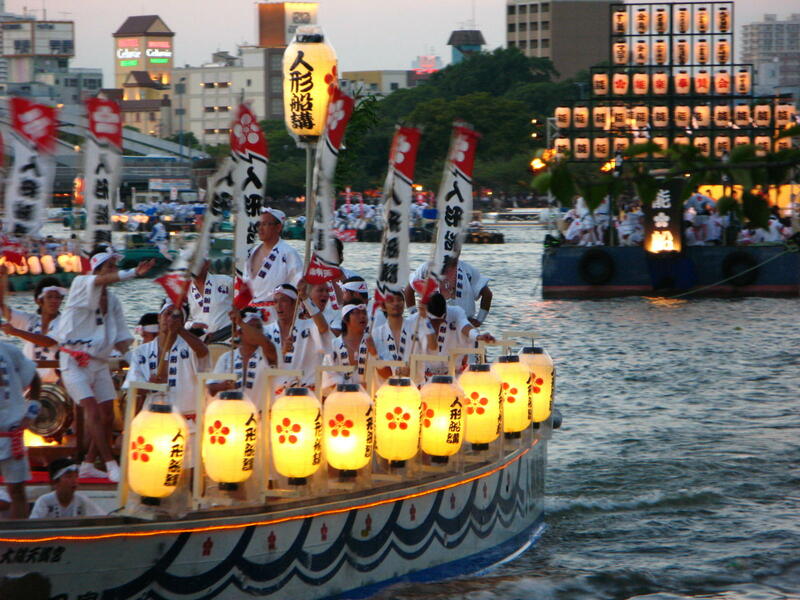 “Tenjin Matsuri Festival” is a festival of Osaka Temmangu Shrine, one of the festivals held in “Tenman-gu Shrine” (Ten-jinsha Shriine) throughout Japan, and from the middle term of the Edo era it is said to be one of the “Three Major Festivals of Japan”. Osaka Tenmangu Shrine is a shrine located in Tenjinbashi, Kita Ward, Osaka City. It is traced back to 949 that Osaka Tenmangu Shrine was to be founded. 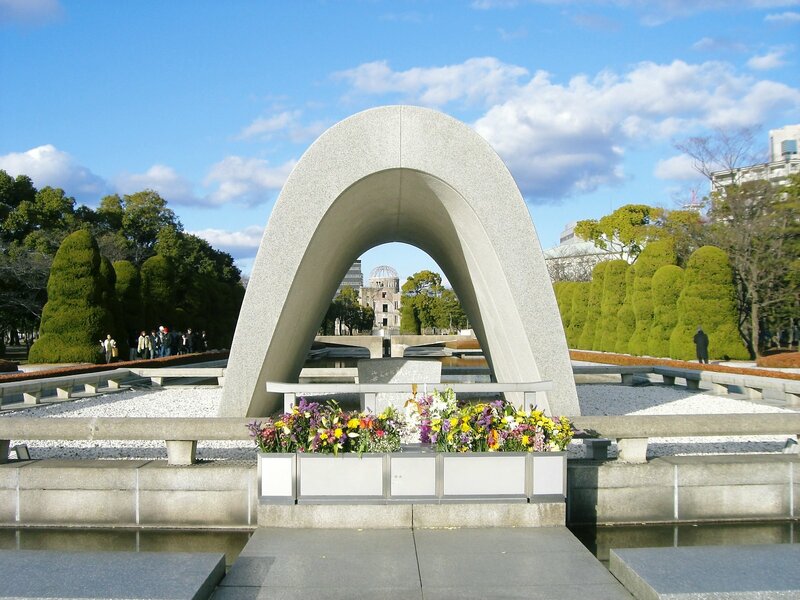 In 949, in response to a story about seven pine trees growing overnight in front of the Taishogun sha, which was the northwestern point for peace and control of Naniwa-kyo, the Osaka-tenmangu Shrine (Tenman tenjin) was built under imperial command. It is said that the origin of “Tenjin Matsuri Festival” began in the year 951 the following year when Osaka Tenmangu Shrine was founded. To decide where to rest for God that year, sacred Hoko was shed, and the divine spirit sailed from land and river is supposed to start. Currently, the main festival is held on July 25 named after the birth of SUGAWARA no Michizane, the main god of Tenman-gu Shrine. “Riku-Togyo” which goes overland over 3000 people and “Fune-Togyo” which carries 100 river vessels by ship is carried out. (Togyo: transfer of a sacred object from its place of enshrinement) And “Gal-Mikoshi” going around Tenjinbashisuji Shopping Street, dedication fireworks festival is also held. It is an event full of highlights, from Shinto Ritual which makes you feel the history of over 1000 years to spectacular events. 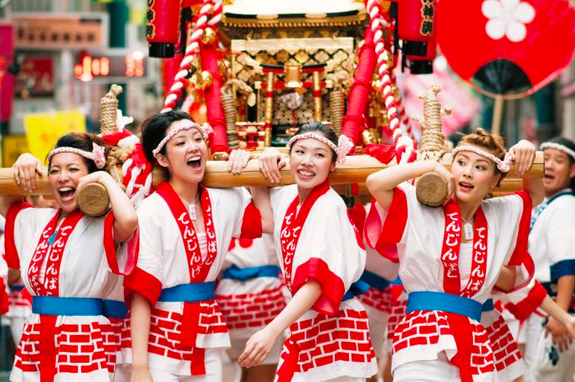 Tenjin Festival is counted in one of the Japan’s three biggest festivals along with the Gion Festival of Kyoto, and the Kanda Festival of Tokyo. 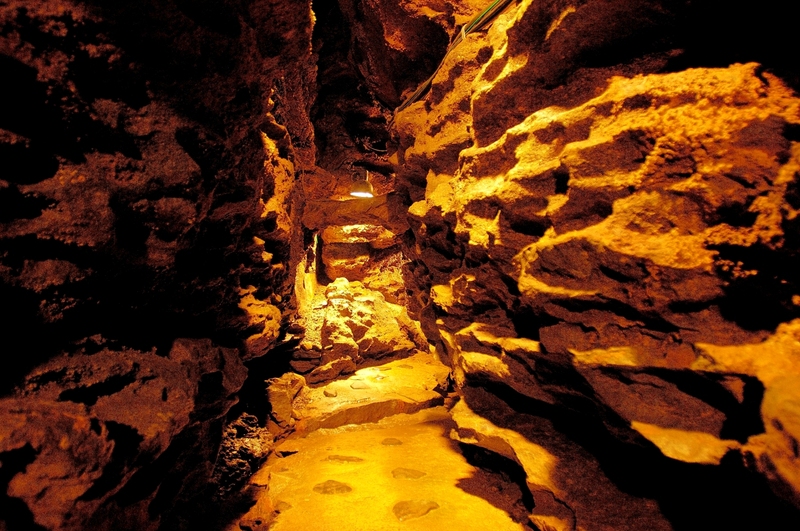 It has continued for more than 1000 years, the origin of this festival dates back to the year 951. Under the influence of the political change of an end of Edo Period, the World War of 2 times, etc., the festival itself sometimes became a stop and reduction plentifully. 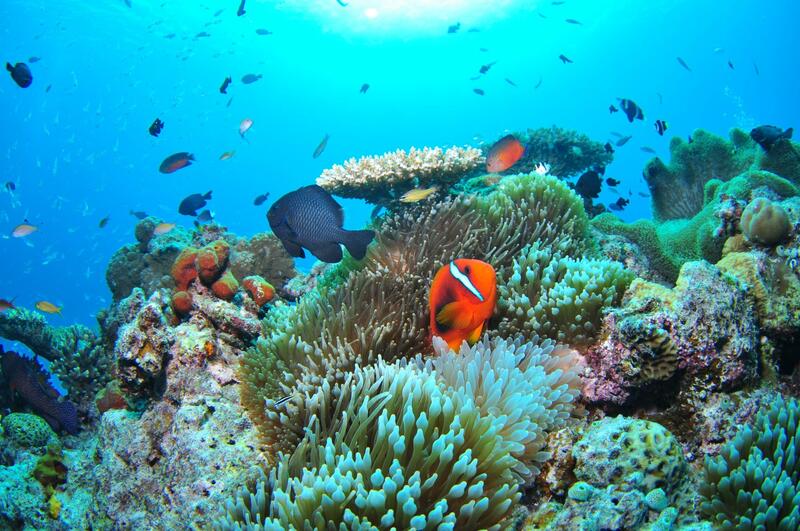 Many difficulties were overcome, it was loved by many people, and 1000 years or more of history has been followed. 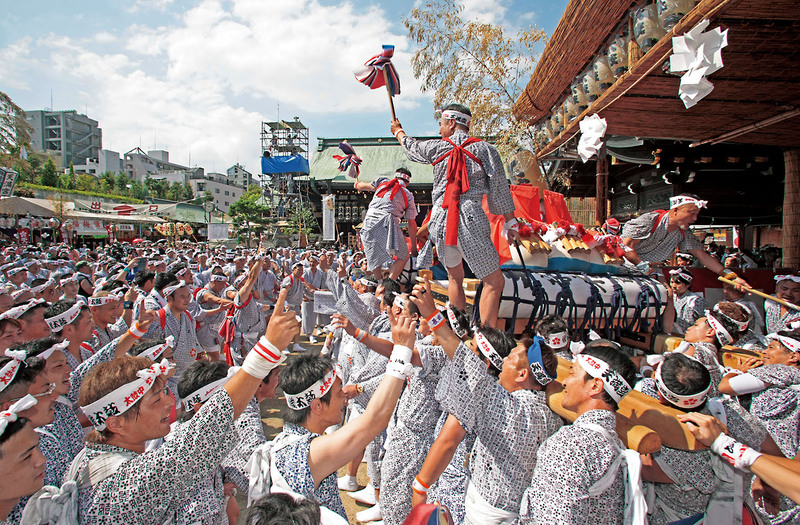 Tenjin Festival is a festival of the maximum scale in Japan, and about 1,300,000 people visit every year. In order to celebrate going out of one-time “God Tenjin” for the evening of Tenjin Festival Honmiya (main festival) on July 25 every year, 4000 or more dedication fireworks are launched along the Okawa river where Funatogyo (ritual to place divine spirits on the boat to cross the river) is performed. 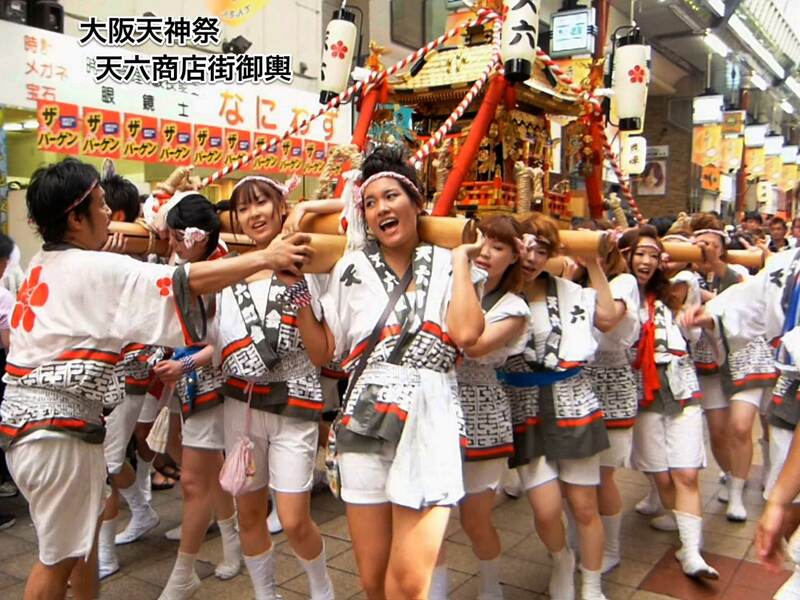 Moreover, the “Gyaru Mikoshi” (Mikoshi carried by women), which has been performed since 1981 aiming at promotion of the area, the upsurge of the Osaka culture, and bright pleasant town planning, is one of the highlight of the Tenjin Festival. 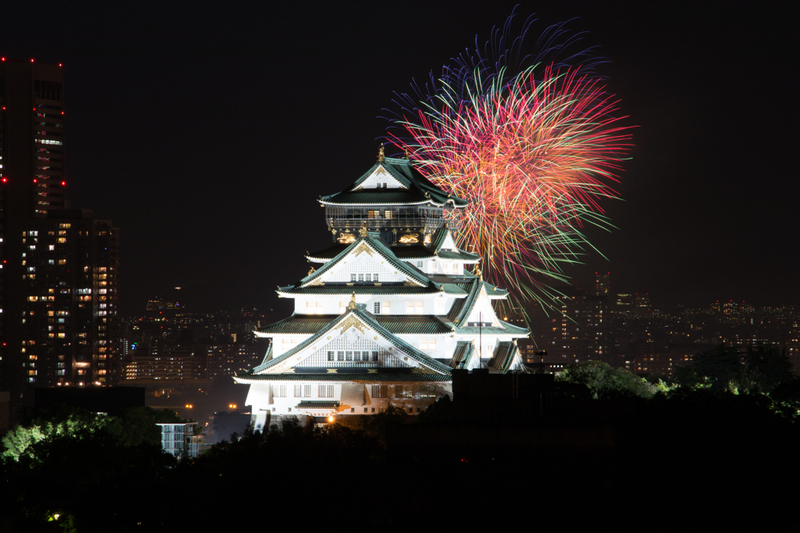 Tenjin Festival of Osaka is held for two days of July 24 and 25th every year, and 24th calls Yoimiya, 25th calls Honmiya, and the event is performed by each. Although the crowds of Tenjin Festival is 1,300,000 people every year, but the most of those visit Honmiya of 25th. Tenjin Festival dedication fireworks started at 19:00 in particular become the peak.